Helping you Plan Your Day Well and Conquer. Y’all, I’m even more excited about the blessings (and even changes) that 2019 will bring. It’s something about the “fresh start” of a new year and even a new month that gets me excited. And, this year, it is my plan to connect more with you. YOU are one of my goals for this year. It’s true. 2018 was definitely a year of learning and I want to share a few of my lessons learned with you. Although these were lessons learned, I will definitely bring them with me in the new year. 1. Slow Down. At the beginning of 2018, I made the tough decision to SLOW DOWN. This came after a major surgery that I had that required me to take at least 2-3 months to heal from in the latter part of 2017. Prior to that, I had been fueled by a jam-packed schedule with barely no time to think. If my calendar wasn’t filled to capacity, I thought I wasn’t working hard enough. I felt that I would be left behind in the game of business and that would result in me failing. But, I was failing anyway. I was overworked, overbooked, and burned out. I missed being fully present with my children. I rushed time spent with the Lord. Self-care was at the bottom of any of my lists. And, my purpose was slowly getting far away from me. The new things that I wanted to do would require me to SLOW DOWN and re-assess. I looked at some areas in my life that consumed me and I gradually cut down the time and attention that I had given them. My time changed. My focus was redirected. 2. Say NO Without Regret. Maybe it’s the event planner in me that thrived on making sure “No” was not an option, but I had to practice in baby steps to breathe slow and deep, put a smile on my face and answer many requests with, “Thank you for thinking of me, but I am unable to do this for you at this time”. And, I learned a few other creative ways to say, “No.”. It was really rough and I felt like I was letting people down for not extending all of me to them. And, I’m certain, some people were disappointed that Tish wasn’t fulfilling a last minute request or quickly jumping to the rescue, but I needed the space for me. What I found out was that all “yes” moments were not for me. In my quest to slow down, it was necessary for me to free my time so that I could be observant of my needs and the needs of my family. 3. Do Something that Makes Me Uncomfortable. Well, slowing down and saying no were really big scary things to me. In contrary to me learning to say no to others, I needed to learn to say “Yes” to me. When opportunities would present themselves to me, I would second guess why I should or shouldn’t take it by the horns. Fear would begin to speak to me and I would listen. Tell me that’s happened to you before, right? So, when fear would show up, I would tell myself “Pursue with Faith, no doubt added.” That little saying pushed me to accomplish things that I would have normally talked myself out of. Pursue with Faith, no Doubt Added. 4. Don’t hide. Remember the movie Dirty Dancing when Patrick Swayze goes to get Jennifer Gray from her parent’s table and he says to her father, “Nobody puts Baby in the corner.”? This may have nothing to do with nothing but it sure stands out to me with this particular lesson. Just go with me for a moment. There were times that I didn’t feel like I deserved to be at a particular event or taking full advantage of an opportunity. I could be in a room full of the smartest, most influential people and I would think that I need to shrink back or “go to the corner” in order to not been seen or heard. Sounds silly, right? But it is true…those were some of the thoughts that fear would send my way. Midway into the year, I had to shut those thoughts down. They weren’t valid AT ALL. So, when I would be in an important meeting, attending an event, or just out and about in a crowd, I told myself that I deserve to be here, I deserve this opportunity, and I will pursue this in Faith, no doubt added. And, I had to believe it and that’s when I could move forward. 5. Practice Self-Care. Ohhhh this is an on-going lesson, Girlfriend, let me tell you. This is years of correcting that I’m working on. I have to intentionally set time for myself to get away from the noise and excitement that my calendar and life holds. I would feel guilty at first, going to get a massage, buying myself something and nothing for my girls, eating a yummy lunch without my husband or a gal pal, or taking a complete day off and doing absolutely nothing. How did I start to do things for Tish? I first made a list last year of the things that I wanted (or needed) that had nothing to do with anyone else, unless I wanted to add other people. And, I would add something to my schedule each week. They weren’t all big and huge things, some cost money, some didn’t. The most important thing is, the task involved ME. 6. Go For It. As you’ll soon see, I make a list for everything. I do that because if I leave it in my head, too much will swirl around in it and leave me confused. I made a list of the things that I needed or wanted to eliminate from my life. You know, those things that no longer served me for the greater good. Things that I got tired of doing for the sake of doing them (I’ll share more about these things a little later on). And, then I made a list of things that I needed to focus more on and PURSUE intentionally. This list included the things that brought me joy. These are the things that I schedule on my calendar and tell myself to “Go For It”. 7. Know That I’m Worth It. In letting go of some of my familiar habits and happenings, I felt the change. And, at times, it made me feel guilty for accepting change. And, because I willingly started to reformat my life and do things that I should have done a long time ago, I felt uncomfortable. These uncomfortable thoughts came even after amazing things happened to me as a result for shifting my perspective and adopting new systems. I have an amazing support system and faith in God, and it was with their help, that I was able to pull through and see that I have what it takes to be great. 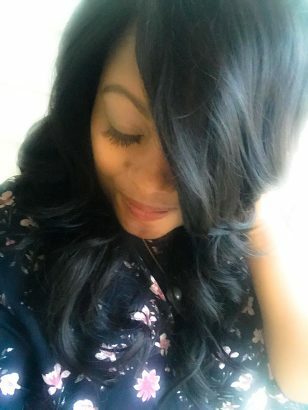 It took a little nudging from my loved ones and the Lord at first, but thankfully, I was able to see what they saw and that was “I’m Worth It”. In moving forward in 2019, these lessons will remain prominent in the days ahead. There are still lessons to be learned and I’m ready for them. This will be a great year for me and I believe that it will be a great year for you as well. Tell me, what lessons did you learn in 2018? Click Image above to download!